Looking to bring its Be More Human campaign to life, the brand leaped into action when thousands of airline customers became stranded. BOSTON: Last week, thousands of Delta airline passengers found themselves trapped in long lines after more than 2,000 flights were cancelled nationwide due to a computer crash. Sensing an opportunity, Reebok leapt into action, sending trainers to surprise Delta’s customers with mini stress-relieving workouts. 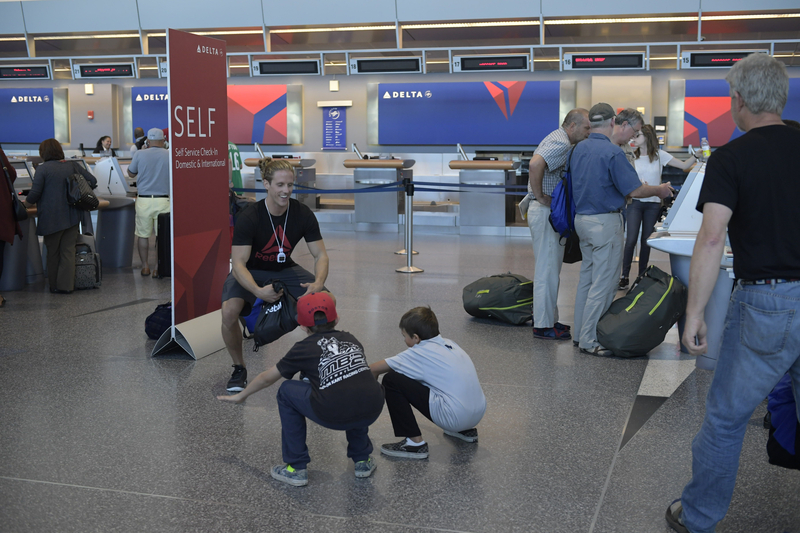 On August 8, the first day of the weeklong Delta ordeal, Reebok sent two physical fitness instructors to Boston’s Logan Airport to ease high tensions with jumping jacks, lunges, and squats. 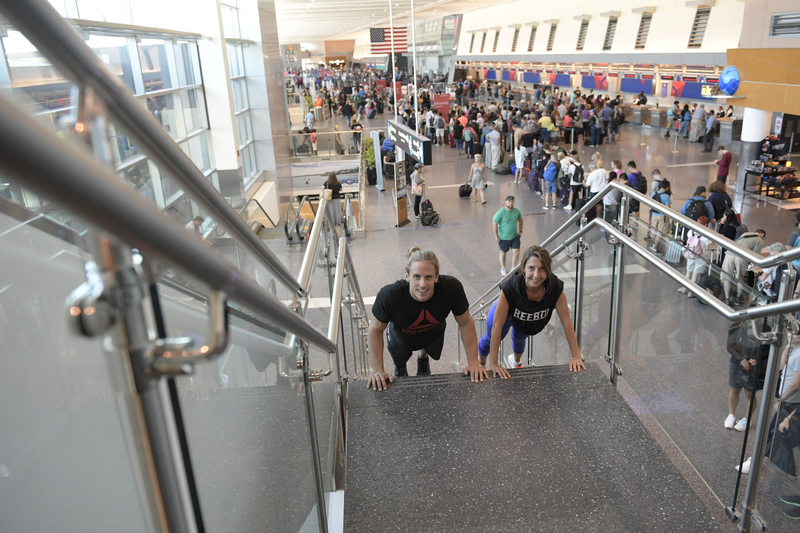 "Just move a little bit, you'll definitely feel better, and you'll be ready for a trip," said Reebok instructor Carmen Rojas to the people waiting in the long lines at Terminal A. From a grandpa to children, about 50 travelers worked with the trainers to sneak in a quick workout. Even a few staff members took part. Other Reebok team members were also there, giving away Reebok stress balls, synch backpacks, T-shirts, and reusable water bottles to workout participants. The water bottles quickly became the crowds’ favorite item so they could keep hydrated while waiting for flights, according to Reebok. Yan Martin, Reebok’s CMO, said the brand is always on the lookout for opportunities to surprise and delight customers. "We like to think out of the box and surprise people through content or activation," he says. "We’re a brand that wants to connect with people." The Delta activation represents a model for the kind of outreach the brand hopes to do more of, that means workouts at an airport or in a shopping mall. "We know it’s effective because it’s very engaging and keeps the brand interesting," Martin says. What’s more, surprising these passengers with their health in mind connects to the brand’s Be More Human campaign. "It helps dimensionize what the brand is about," adds Martin. "I think every time you do an action as a brand, it should ladder up to what your core beliefs are." Launched in January 2015, Reebok’s Be More Human campaign began to send the message to consumers that fitness is a way to transform the entire self — physically, mentally, and socially. This stance distinguishes the brand from competitors Nike and Under Armour, according to Martin. "The majority of people out there, running or doing yoga or whatever the fitness activity is, are not doing it in the context of performance," says Martin. "They’re doing it in the context of feeling better."